Where To Have Fun In Mumbai? Mumbai is one of the oldest cities of India. The city is characterized by its affinity for exhibitions, food festivals and art. Some of the world’s best pieces of art are brought to Mumbai to be showcased in exhibitions. Hotels and restaurants in Mumbai are constantly working on their menus to cater some of the best dishes to their clientele. Here, we will focus on the Mumbai events for tomorrowand coming days. The All-day multi cuisine dining restaurant, Saptami will be paying homage to the king of berries, the strawberry. A menu especially designed by Saptami’s pastry chef will feature a host of desserts made from strawberry. The berry spiked tiramisu, strawberry red velvet cake, strawberry lassi, strawberry milkshake, strawberry pavlova and strawberry tarts are some of the popular dishes, which will be featuring in the menu. The strawberry special will last till the 15th of March 2015 and will be served at the Saptami Restaurant and the Saptami Express at the Holiday Inn, Sainaka, and Andheri. The Goregaon Oberoi Mall will present the Cricket Carnival in celebration of the ICC Cricket World Cup 2015. The organizers will have a life size carousel for the guests to take a ride on. Also, lots of unique games will be organized with gift vouchers as prizes for the winners. On the weekends, the carnival will be visited by the mascots of the popular cricket stars. This event will take place in the Oberoi Mall till the 29th of March 2015. This event is presented by the Jehangir Nicholson Art Foundation, Mumbai and the CSVMS in association with the Tate, London. This art exhibition will prove to be a very rare opportunity to witness some of the finest works of art by Howard Hodkin. Also, this will be the first exhibition of Hodkin paintings in India. The famous paintings called “Come into the Garden, Maud” and “Rain” will be among the exhibits. A total of 20 Hodkin’s paintings, which perfectly capture the changes from the 1980s to the present will also, be exhibited. The event will be held at the Jehangir Nicholson Gallery, NCPA, and Nariman Point will be open to the public till the 15th of April, 2015. The talented and renowned artist Preetha Kannan presents the art exhibition called Gaina Reloaded at the Gallery Beyond, Shahid Bhagat Singh Marg, Mumbai. The exhibition will be open to the public till the 26th of March 2015. The works displayed at this event will showcase the fragile nature of marine life and that how the aquatic flora and fauna have so effectively adjusted to manmade oceanic pollution. The main highlight of the exhibition will be the common human activities that promote water pollution. The art showcased will help the viewers to better understand and respect the delicate balance between urban waste and marine life. 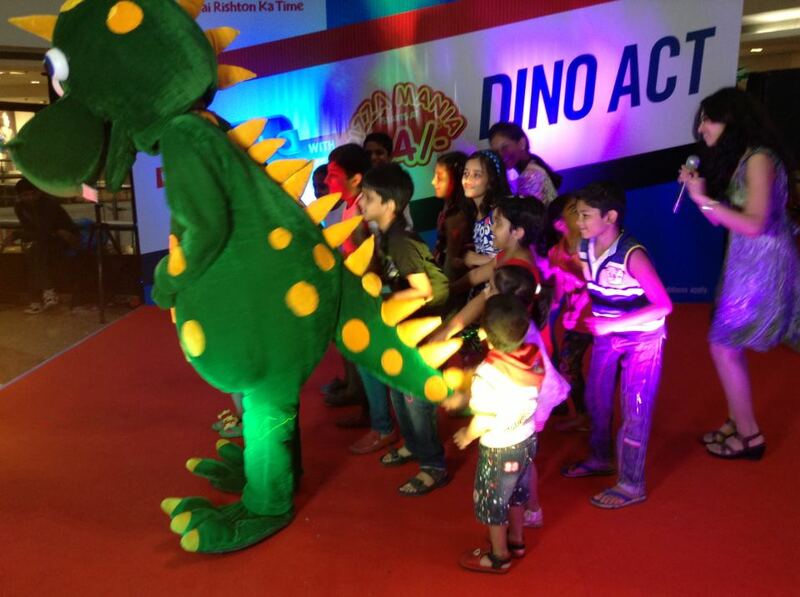 Thus, it is clear that there are lots of fun events to attend in Mumbai. So, it’s time to go out there and have some old fashioned fun.